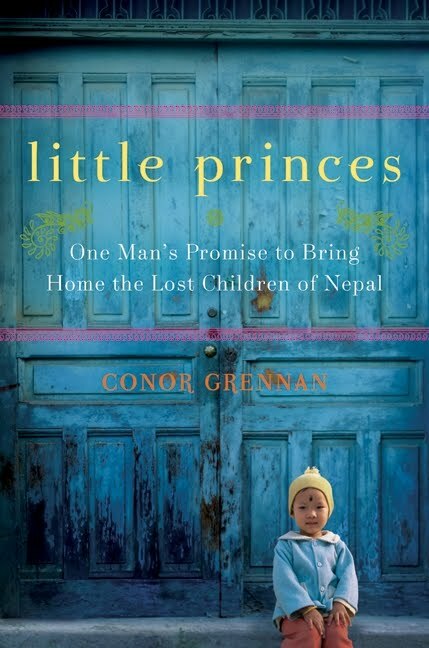 I recently devoured a book called Little Princes: One Man's Promise to Bring Home the Lost Children of Nepal by Conor Grennan. Within its pages is an account of one man's journey to find himself by taking a brief hiatus from a career to "self-indulgently" travel the world. What he discovered on this journey could not have been farther from the experience he had originally planned. Grennan fell deeply in love with the orphaned children of Nepal and was moved by their seemingly hopeless situation - lost, poverty-stricken, voiceless and afraid. He and a very small handful of friends began fighting the tide of child trafficking, a dangerous prospect in this remote part of the world. His story is remarkable and his work continues to this day. Dust off your library card if you must, but buying this book is better! 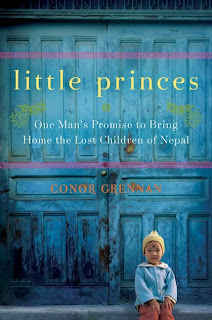 A portion of all book sales support Next Generation Nepal, the non-profit organization that Conor Grennan established to reconnect trafficked children with their families in Nepal. REVIEW PROS: It will tug at your heartstrings and, hopefully, move you to action. REVIEW CONS: It may not be the most eloquent piece of literature ever published, but the story is compelling. You will weep.